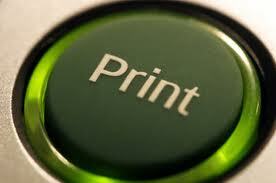 The printing industry, like many other industries, is starting to pick up steam in going “Green”. From recycling paper to using soy ink, smart printing companies are starting to realize the benefits of going “Green”. By using recycled post consumer waste paper you are directly saving trees. Color Trade Print makes every effort to protect our environment around us. We encourage you to follow these 10 Green Printing practices and protect our natural resources as well. These practices are beneficial for the environment and beneficial for your company. This entry was posted in Banners, Brochures, Business Cards, Letterhead, Magnets, Postcards, Posters, Printing. Bookmark the permalink.